Bruce Timm's iconic designs come to life as Pop! Vinyl figures! 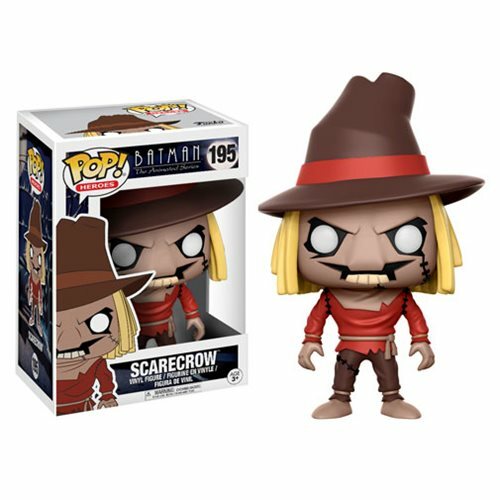 Based on Batman: The Animated Series, this Batman: The Animated Series Scarecrow Pop! Vinyl Figure #195 features the villain's look from the memorable 1990s cartoon series. Packaged in a window display box, this Batman: The Animated Series Scarecrow Pop! Vinyl Figure #195 measures approximately 3 3/4-inches tall. Ages 3 and up.